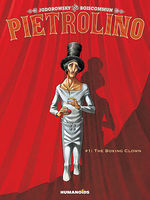 A tale of love, art, and treason set in Nazi-occupied France, and featuring the trials and tribulations of a very special mime. 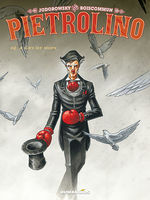 This is the tale of the titular Pietrolino, a man who came to use his skills as a mime to stand up against the oppressor and cheer the bruised souls of a Nazi-occupied France. 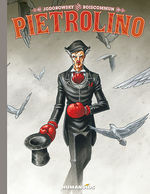 The graphic novel adaptation of a theatre play originally written by the ever multi-faceted Alexandro Jodorowsky ("The Incal," "The Metabarons") for the famous French mime Marcel Marceau. It is here poetically brought to life by prolific European artist and frequent Humanoids contributor, O.G. Boiscommun ("The Book of Jack"). Not only is the story itself amazing, but the storytelling is incredibly well executed. When I finally got to the last page, I found myself chanting for an encore.